Can I Sue My Personal Trainer? You can sue your trainer for a personal injury. 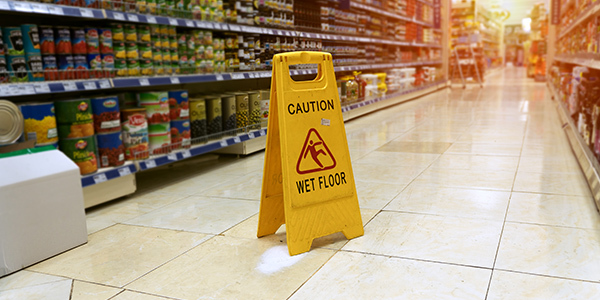 Accidents and injuries that arise from the negligence of someone who has a duty of care to you, qualify for a lawsuit. But not all injuries are caused by negligence. As long as all the elements of a personal injury claim can be proven, damage caused by your trainer's negligence can be treated like any other personal injury matter. So, let's review the elements of negligence and see how they apply to personal training. Duty: To prove negligence, a plaintiff (that will be you) must show that the defendant -- in this case your trainer -- owed you a duty of care and that this duty was breached. Duty of care is simply the law's recognition of a relationship between the defendant and the plaintiff that creates an obligation in the defendant to maintain a certain standard of care. Breach: Breach of that duty of care, which results in injury, creates liability for the defendant. If a trainer fails to exercise reasonable care with a client -- perhaps by pushing too much exercise too quickly -- and the client is injured as a result, the defendant has been negligent. Causation: Next, you must show cause. The defendant must be the actual cause of the injury. Causation in the exercise context might be a little tricky. If your training has reignited an old pain or ache and you never mentioned any limitations to your trainer that may make proving causation more difficult. Damages: In order to prove negligence, you must show that you suffered an injury and that it is compensable. If your trainer breached the duty of care to you but you were never injured or suffered no harm, there is no basis for a lawsuit. But if you were injured and had medical expenses or lost work as a result, you may well have a compensable claim. Although your recent experience with your trainer may have made you wary of putting yourself in the hands of another, do not be deterred. Just like you sought a professional for your personal training, you should do the same for your legal case. Speak to a lawyer about your injury. Many personal injury lawyers consult with clients for free or a minimal fee and many also work on contingency. Bring any relevant medical records you have to a consultation, your gym contract or the agreement with your trainer, and any other paperwork that seems appropriate. Then let your lawyer do the heavy lifting.